Bounty - Doug Grad Literary Agency, Inc.
Sign in to the ultimate antisocial network. Mob justice meets the Internet in this globe-spanning high-concept thriller about a rogue website for vigilante assassins, where outraged citizens bid up bounties on unrepentant crooks and corrupt elites. Following a team of FBI agents striving to counter the untraceable site and the elusive forces behind it, and tracking the real perils of cybersaturation across the globe, this all-too-plausible novel of suspense explores what happens when pervasive corruption, widespread public unrest, and the shattering of any last illusions of privacy clash in a perfect storm outside the rule of law. An email to Wall Street con man Chase Lombardi urges him to face the windows of his office and smile. He swivels around in his chair, only to have his head blown off by a sniper’s bullet. When FBI agent Roman Novak shows up, he discovers a website on Lombardi’s computer where the public votes, one dollar at a time, for the criminal they want killed next—with gristly videos posted as proof of death, and a total of the bounty paid out to the killer. Suddenly, a red X appears over Lombardi’s photo, and a video begins to play—recorded through the sniper’s high powered rifle scope. Agent Novak is aghast—this is vigilantism writ large. When the video of Lombardi’s demise goes viral, bounty4justice.com becomes the hottest thing on the web. The bounties for the remaining crooks soar above a million dollars, fed by a public furious with those who have skirted justice and hungry for vengeance. While many applaud the killings as justice long overdue, Novak and his cybercrime task force feel helpless—they can’t follow the money, they can’t arrest a million people. The FBI can’t even shut down the impenetrable rogue website, or find the mastermind behind it. As the website’s ambitions reach ever higher and its target list expands worldwide, Novak and his team follow clues around the globe to the very heart of the Internet and the shocking truth behind the mastermind’s objectives, which prove far more sinister than mere vigilantism. Bounty delivers action and violence along with thought-provoking ideas about the nature of justice, the rule of law, the wisdom of the mob and the will of the people, with a surprising twist. 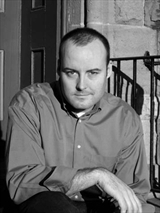 Michael Byrnes is an internationally bestselling author of three previously published thrillers: Sacred Bones, Sacred Blood, and The Genesis Plague (think Dan Brown meets James Rollins). He lives in Florida with his family.